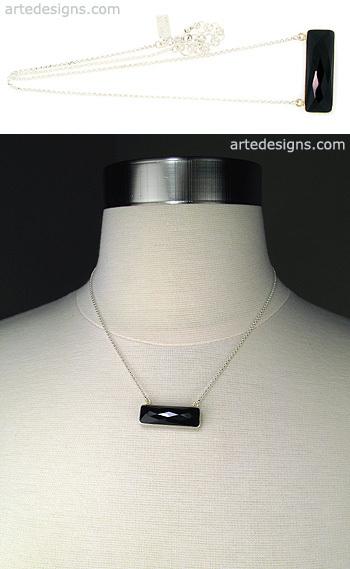 This faceted rectangle Black Onyx stone is bezel set in sterling silver, creating a necklace that's modern, edgy, and will never go out of style. Wear it alone or layer it with other necklaces. Black Onyx is known to help release negative emotions such as sorrow and grief. It is used to end unhappy or bothersome relationships. Onyx jewelry is worn to defend against negativity that is directed at you. Pendant is approximately 1.25 inches wide. Adjustable 16 - 18 inch sterling silver chain with a lobster clasp.